6205 Peachtree Dunwoody Road Atlanta, Georgia 30328. Formerly known as Cox Radio, the radio division of Cox Media Group is ranked the 5th among all radio media companies in the United States. Spanning over 20 markets, boasting 86 radio stations; 15 AM and 71 FM CMG’s portfolio provides listeners with a variety of that ranges from Hawaiian to Classic Rock to Country. 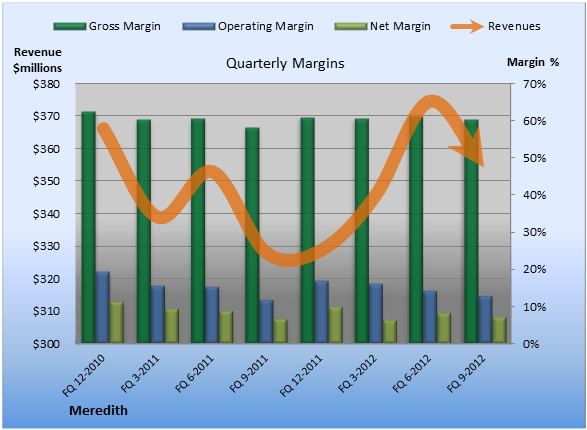 With all other divisions included, CMG’s total revenue for 2011 was $1.7 billion. In September 2012 Cox Media Group announced that in January 2013, Belinda’s Atlanta Lifestyles will debut on 750 WSB AM. Somewhat similar to the “Pinterest, Martha Stewart or the Oprah brand,” Belinda’s Atlanta Lifestyles will be a show about every-day things such as picking a summer camp or where to go to dinner for your anniversary. Skelton is currently the Executive Producer of The Neal Boortz Show and has been working for WSB Radio for almost two decades. Her show comes just as Boortz plans to retire and although it will not replace The Neal Boortz Show, Belinda’s Atlanta Lifestyles brings an exciting twist to WSB Radio’s current lineup.Skelton notes that Boortz may even make a guest appearance or two on the show. In mid-November, Cox Media Group brought America’s No. 1 sports-radio network to Orlando, Florida on WBDO 580 AM. On November 12th, ESPN Radio (@ESPNRadio) began to broadcast on this station, moving WDBO’s News/Talk programming to WDBO FM 96.5. Not only did Mike and Mike in the Morning (6 AM to 10 AM EST), The Herd with Colin Cowherd (10 AM – 1 PM) and SVP & Russillo (1 PM -4 PM) debut on 580 AM but the most up to date local news coverage will be available on the station and www.ESPNOrlando.com. In a combined donation of $75,000 Cox Media Group radio stations in Long Island and Connecticut along with Cox Reps in New York, gave aid to those who suffered from SuperStorm Sandy. Star 99.9 and WPLR FM in Connecticut partnered with Fairfield County’s Child and Family Services to support a relief fund to help the agency regain all losses due to to the storm. In Long Island, Island Harvest received aid from 102.3 WBAB and 106.1 WBLI for their programs that help feed those who are in need. Miller also oversaw the development of the broadcasting division of the company from 1957 to 1973. Under Miller, Gannett added three more stations to its repertoire, and this was only the beginning. By the late 1970s and early- to mid-1980s, Gannett Broadcasting, Inc. acquired about a dozen stations. Today, the Gannett Broadcasting division of the company owns 23 stations in 20 different markets and is the largest owner of NBC-affiliated stations. These stations cover 18.04% of American households, indicating the company’s market reach of 20.1 million households. Gannett Company, Inc. is considered the number one newspaper publisher in America in daily circulation with 81 newspapers, most notably the U.S.’s first national newspaper, USA Today. The company also owns 13 digital assets such as Cars.com and CareerBuilder.com. Stocks are traded on the New York Stock Exchange (GCI), and Gannett is listed on the S&P 500. Currently, Gannett is doing very well financially. The company averages $7.6 billion in annual operating revenue and employs about 52,600 worldwide. In 2012, the company made a profit of $588.2 million and saw 6.8% and 7.5% revenue increases in digital and television broadcasting, respectively. Gannett is listed as number 465 in Fortune 500 and averages $5,239.99 million in sales. In 1982, USA Today was introduced to the American public as the country’s first national and color newspaper. Since, it has become the most widely circulated newspaper in the U.S., despite some criticism for its emphasis on graphics, pictures and concision. For the first time in 30 years, USA Today adopted a refreshing new look in September. The paper added more color, a new logo and a cleaner look that adapts well to tablets. On October 8, Dish and Gannett agreed to a new distribution deal after a few weeks of talking over new prices for licensing fees. Dish claimed that Gannett was trying to triple its previous rates, but Gannett representatives said that they were only keeping with market rates. The dispute was also over Dish’s new DVR that allows customers to play back shows without the hassle of commercials. The service, called Hopper, negatively impacts advertisers by decreasing consumer reach. Gannett executives felt the service hurts the company’s relationship with advertisers and were thus much more cautious in reaching a deal. - Lieberman, David. “Gannett Beats Q3 Earnings Estimates with Help from Olympic and Political Ads.” http://www.deadline.com/2012/10/gannett-q3-earnings/. Deadline. - “Gannett Company, Inc. History.” http://www.fundinguniverse.com/company-histories/gannett-company-inc-history/. Funding Universe. - Bachman, Katy. “Gannett Scores with Olympics.” http://www.adweek.com/news/television/gannett-scores-olympics-114801. Adweek. - “Who is Gannett?” http://gannettonline.com/external/email/about/who.htm. Gannett Digital. - “Our Locations.” http://www.gannett.com/section/WHOWEARE06. Gannett. - “Leadership Team.” http://www.gannett.com/apps/pbcs.dll/artikkel?Dato=99999999&Kategori=WHOWEARE04&Lopenr=110714007&Ref=AR. Gannett. - “Leadership Team.” http://www.gannett.com/article/99999999/WHOWEARE04/110714008. Gannett. - “The 10 Most Profitable Media Companies.” http://www.bestcommunicationsdegrees.com/biggest-media-companies/. Best Communications Degrees. - “Company Search.” http://www.hoovers.com/company-information/company-search.html?term=Gannett. Hoovers. - “Gannett Co., Inc.” http://www.google.com/finance?q=GCI&ei=KIm9UIDtL6fs0gHTmwE. Google Finance. - “Gannett Co., Inc.” http://www.google.com/finance?q=GCI&ei=2JW9UIjoFILl0QHyUA. Google Finance. - “Gannett Reports Higher Q3 Earnings, Revenue.” http://www.businessweek.com/ap/2012-10-15/gannett-reports-higher-3q-earnings-revenue. Bloomberg Businessweek. - “Who Owns What.” http://www.cjr.org/resources/index.php. Columbia Journalism Review. - Knox, Merrill. “WUSA Web Producer Accidentally Plagiarizes Washington Post Article.” http://www.mediabistro.com/tvspy/wusa-web-producer-accidentally-lifts-pieces-of-an-article-from-washington-post_b33895. Media Bistro. - Voakes, Greg. “Infographic: the Paywall Trend.” http://www.businessinsider.com/infographic-the-paywall-trend-2012-11. Business Insider. - Lunden, Ingrid. “Confirmed: Gannett has Bought Social Media Ad Company Blinq.” http://techcrunch.com/2012/08/21/confirmed-gannett-is-buying-social-media-ads-company-blinq/. Tech Crunch. - “Tech Deals, Mergers and Skirmishes.” http://cynopsis.com/index.php/editions/digital/082212/. Cynopsis. - Yu, Roger. “Gannett Buy Social Media Ad Company Blinq Media.” http://usatoday30.usatoday.com/money/media/story/2012-08-21/gannett-acquires-blinq-media/57191320/1. USA Today. - Matheson, Whitney. “Have You Seen the New USA Today?” http://content.usatoday.com/communities/popcandy/post/2012/09/17/usa-today-redesign/70000480/1#.UL2A3ZPjkkc. USA Today. - “USA Today Gets First Significant Makeover in 30 Years.” http://articles.chicagotribune.com/2012-09-14/business/chi-usa-today-gives-itself-first-significant-makeover-in-30-years-20120914_1_usa-today-mcpaper-gannett. Chicago Tribune. - “Dish, Gannett Reach Agreement over TV Fees.” http://www.businessweek.com/ap/2012-10-08/dish-gannett-continue-negotiations-on-tv-fees. Bloomberg Businessweek. Originally A.H. Belo Corporation was founded in 1842 by Alfred Horatio Belo. Since its date of origin A.H. Belo Corp has encompassed both newspapers and television industries. After over hundred years of managing two industries the company split in 2008. Currently Belo Corporation only deals with the Television industry and A.H. Belo Corporation with Newspaper industry. Belo’s Chief Executive Dunia Shive. Picture courtesy of Belo Corp.
All Board of Directors Pictures courtesy of Belo Corporation. Picture courtesy of Belo Corp.
Below is a chart that encompasses the call letter, affiliate, market, reach, and market rank of all of Belo’s 20 Broadcast Stations. Belo Corporation is currently Ranked 10th among Broadcast Television according to AdAge.com. Strong political and Olympic advertising revenue gave Belo Corporation a lift in their third quarter. Belo generated $17.7 million in political revenue and $13.4 million in Olympics revenue. Both of these statistics are significantly higher than what was recorded in their third quarter in 2008. Net earnings nearly doubled, from 13 cents to 24 cents a share. During this time period Belo’s TV station business also had a 50% improvement in cash flow, which includes earnings before interest, taxes, depreciation, and amortization. View complete Third Quarter Report. November 29th 2012: Media Company Belo Corp Launches ScreenShot Digital, Inc.
Univision Spanish-language broadcast television network in United States, which was launched in 1962 by Emilio Nicolas, Sr. and Emilio Azcárraga Vidaurreta. With studios and production facilities in Doral, FL, Univision broadcasts through cable and satellite in over 50 local and major markets in the United States and Puerto Rico. Formerly known as Spanish International Network (SIN), Univision has continuously grown to be the Spanish-language network with the largest audience. Today, Univision is considered to be the fastest-growing network in the United States and sits among the four major powers of the American broadcast networks, ABC, NBC, FOX, and CBS. For the entire third quarter of 2012, Univision ranked number three in primetime among adults 18-34, out-delivering ABC and CBS, and had a dominant 91 percent live viewership among adults 18-49. Estrella TV, owned by Liberman Broadcasting, Inc.
TeleFutura, owned by Univision Communications, Inc.
Randy Falco – Chief Executive Officer and President, Univision Communications, Inc.
Univision Communications’ third-quarter financials presented bittersweet numbers as the quarter’s profit declined but revenue increased. While Univision’s earnings went from $290 million in 2011 to $10.6 million, revenues across the company’s TV, radio, and digital platforms for the third quarter increased 7.6 percent to $628.9 million. Income taxes and operating profit also decreased from $239 million to $5.2 million, and $180.6 million to $154.2 million, respectively. In the other hand, adjusted operating income before depreciation and amortization (OIBDA) increased to $276.5 million by 17.1 percent. Univision became the only Spanish-language network with Interactive Advertising Bureau (IAB) certification. Univision’s certification with the IAB seal, which gives greater reliability and efficacy in advertisement placement to buyers, indicates that the network will develop in its digital and interactive platforms in the coming years. Univision’s new primetime novela, “Amor Bravío”, starring Cristián de la Fuente and Silvia Navarro, premiered on August 13th at 10P.M. ET. “Amor Bravío” is a love story with revenge and twists about a young and beautiful veterinarian who tries to recover from her depression after her fiancée’s death. The novela airs on Mondays-Fridays at 10P.M. ET. Former veteran at Mexico’s Televisa, Alberto Ciurana will be leading the programming and content departments at Univision networks. Ciurana was chief of programming at Televisa for 15 years and will now supervise programming for broadcast and cable television networks at Univision. Fanáticos Del Frio – Website from Leo Ehrlich on Vimeo. Univision Deportes launched “Fanaticos Del Frio” (“Fans of the Cold”), the division’s first branded sports program sponsored by Coors Light. The program will update viewers on the latest news on Liga MX, Mexico’s premiere soccer league. The monthly show aired on Friday, September 28th at 9P.M. ET. On October 17th, Univision updated the network’s logo, which had remained untouched since 1989. The newest logo done with the collaboration of Wolff Olins, revolves around similar concepts and shapes used by Tom Geismar in the former logo. Univision developed this three-dimensional and heart-shaped design to incorporate the company’s new tagline, “el latido del corazón hispano de Estados Unidos”, which means “the Hispanic heartbeat of America”. Senior VP of corporate marketing at Univision Communications, Ruth Gaviria, says that the joint colorful quadrants represent the unity of cultures and the vibrancy of the Hispanic community that the network represents. Gaviria further says that the three-dimensionality represents the greatness of Univision and the community. The new logo’s on-air debut will be on January 1st, 2013. Univision debuted its first digital network on October 29th, UVideos. UVideos offers thousands-hours worth of programming content and 200 short clips daily for free. To reach greater audience, Univision has provided English subtitles on many of the Spanish-language shows. With eyes on the new and ever changing generation, UVideos’ goal is to always be available to the audience. UVideos showed the premiere for Univision’s fourth Web-only telenovela, “Te Presento a Valentín” (“I Introduce You To Valentin”), which consists of fifteen episodes of six minutes each. UVideos is available on mobile applications for smartphones, tablets, and online. On Monday, November 5th, finale of Univision’s “Abismo de Pasíon” reached 7.7 million viewers (all or part of two-hour novela), making Univision number one among adults 18-49 in Los Angeles, Miami, Houston and Phoenix for the two hours of the finale. Premiere of Univision’s “Amores Verdaderos” (“Ture Love”) had more than 5.5 million viewers, beating premieres of all time top two primetime novelas in key demos. The Wednesday November 7th premiere has 2.4 million adults 18-49 and 1.3 million adults 18-34. “Amores Verdaderos” ranked Univision Stations number one for the hour-long premiere in Los Angeles, Miami and Houston. The premiere was ranked fifth program of the night for adults 18-34. During presidential election week, Univision had 3.6 million prime-time viewer average, standing behind CBS, NBC, ABC, and FOX. According to the American Journalism Review, there were nights when Univision outnumbered English-language channels amongst adult 18-34 in Los Angeles, New Yorks and Chicago. The Hispanic population set a new record of voters. From the 50 million citizens Hispanic community, 71 percent voted for Obama while 27 percent voted for Romney . Tony Bennett and Thalia during recording of Viva Duet. Tony Bennett will be staging on Univision’s holiday special “Feliz Navidad Con Los Nuestros… Tony Bennett y Sus Amigos”. For the first time Univision invites a non-Latino celebrity to perform in the show. Bennett will be performing songs from his new CD, Viva Duets, in which Bennett sings with top Latin music artists. The holiday special event will be broadcasted on December 9th at 10P.M. ET. Univision will gather more than 100 Hispanic starts for “TeletónUSA”, a 28-hour fundraiser for children with disabilities in the United States. The event will be broadcast on the Univision Network from December 14th at 10P.M. ET to December 15 at 2A.M. ET, and will be live streamed at www.Univision.com/TeletonUSA. Univision Deportes as official broadcasters of Mexico and U.S.A. matches. Univision networks, the official Spanish-language broadcasters of the U.S. and Mexico National teams, will be offering viewers previews, and pre-game and post-game analysis for major matches. With the rapidly growing number of bilingual Hispanics, ABC News and Univision started working together on a joint venture for a new English-language news, information and lifestyle channel that will start in summer of 2013. Although the name of the channel remains a mystery, it has been revealed that the channel will be based in Miami, FL. The new channel is equally split in ventures and operating costs, and will generate 350 jobs in Miami. ABC and Univision’s joint venture, which brings advertisers a new way to reach Hispanic consumers, also demonstrates recognition of the Hispanic buying power in the United States, which is estimated to grow to $1.5 trillion in 2015. Emmis Communication Corporation’s Logo. Picture courtesy of Emmis. Emmis (the Hebrew word for “truth”) Communication Corporation (formerly Emmis Broadcasting) was founded in 1979 when its founder Jeff Smulyan purchased his first radio station, WSVL-FM Shelbyville, IN. Smulyan wanted to build a tower close to Indianapolis and broadcast a competitive signal into the market. This goal was realized when he changed his radio station from country music to adult contemporary form and also changed its name to WENS. WENS became very successful in the Central Indiana market and it also led Smulyan to purchase more radio stations throughout the country. Emmis Publishing was created in 1988 with the purchase of Indianapolis Monthly. Emmis also started its television business with the creation of Emmis Television in 1998. In 1994, Emmis went public. Emmis Communication Corporation is the eighth largest radio company. It is publically traded on the NASDAQ Global Select Market. It boasts over 23 stations in 7 states. Current stock price is $1.75 per share. Jeffrey H. Smulyan is the Chairman of the Board of Emmis Communications Corporation. In 1980, Smulyan formed and became principal shareholder of Emmis. As a principal shareholder, Smulyan led a group that bought the Seattle Mariners baseball team in 1989 and sold it in 1992. During that time, he served on the Mjor League Baseball owner’s Ownership and Television committees. In January of 2011, the stock price of Emmis surged 42% as insiders speculated that the company could be close to selling off some of its radio stations. In that January, filing with the Securities and Exchange Commission, Emmis reported that it had the necessary cash to survive through this February. After that September, Emmis survived from that criss. In June 2112, Clear Channel Media and Entertainment announced an agreement to add 106 Cox Media Group and Emmis Communication radio stations to its iHeartRadio digital platform. This will result in more choices and better programming options for iHeartRadio users and also provide more convenient and advanced service for Cox and Emmis listeners. Cox Media Group and Emmis will continue to stream their stations on the station websites and smartphone apps. iHeartRadio has already reached 10 million registered users this past May. Emmis Enters Partnership with MediaLeaders for Social Media Training.